The vertical blinds offered by our capable blind suppliers are designed to give you options. 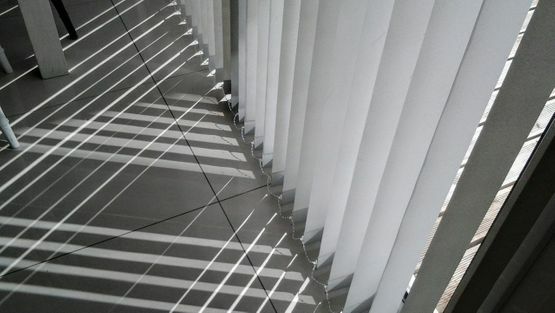 Based in Filton, Bristol, our company provides an astonishing variety of choices to ensure that you're able to find perfect blinds without delay. The vertical blinds we offer are mainly composed of fabric. However, we also stock ridgid PVC and aluminium varieties for customers searching for something a little bit different. With such a vast choice of colours, fabrics, and textures on offer, we're sure to have blinds that will take your breath away. Domestic and commercial customers alike turn to our reputable company for quality vertical blinds. Several modes of operation are available, including chain-, safety rod-, and motor-operated blinds. The roller blinds we provide also possess essential child-safety features. These stunning vertical blinds are fashioned by our own skilled team. Exuding singular quality, our blinds are constructed using quality fabric sourced from Eclipse Blinds™. A well-established company, Eclipse™ are one of the UK's leading fabric suppliers and manufacture their products predominantly in the UK. Because these stylish blinds stay clean easily, they take next to no effort to maintain. When you're ready to beautify your property, don't hesitate to get in touch with our approachable company for a free quotation. 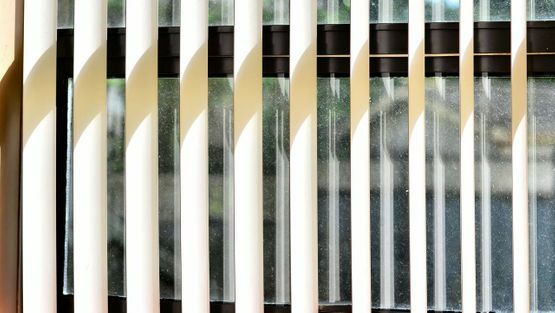 Contact our blind suppliers today, in Filton, Bristol, to consult our expertise regarding quality vertical blinds.